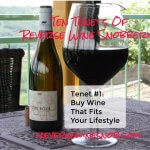 Plus a secret to make your leftover sparkling wine last longer! 100% Brachetto from Piemonte, Italy. 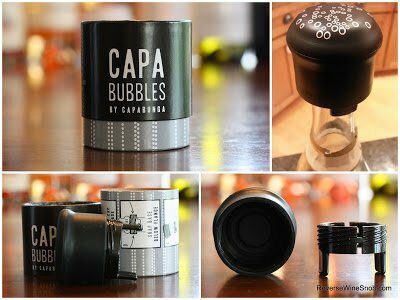 Includes a review of the CapaBubbles sparkling wine re-sealer. Get the Laetitia Winery NADIA Cabernet Sauvignon 2012 for just $19.99 plus FREE SHIPPING on any size order! SRP of $20 and available for as low as $11, but more commonly around $13. Sample submitted for review. Imported by Terlato Wines. 8,800 cases produced. “The moment you pop the cork, a sparkling mist fills your nose with the captivating scent of candied rose petals. 56 million bubbles race up as you pour your first glass of Fizz56. Flavors of strawberry, cherry and raspberry dance on the tip of your tongue as you savor your first sip. As an aperitif or a complement to dessert, this Italian Brachetto is an irresistibly delicious way to celebrate any occasion. 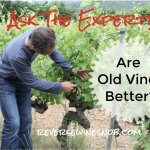 I love trying new grapes and I also love Italian wines, especially those from the Piedmont area. So when those two things combine, my ears definitely perk up up. However today’s wine offers a completely different side of Piedmont than you may be used to. Brachetto is a black-skinned grape found pretty much exclusively in Piedmont. The grape is almost always made into a sweet, low-alcohol sparkling wine often associated with Valentine’s Day. Before we get to the review of the Fizz 56 however, let’s get serious for a minute and touch on one of the great dilemmas of mankind. OK, perhaps it’s not a dilemma for all of mankind but it definitely is a pressing issue for sparkling wine lovers: Should you open a bottle if you can’t drink the whole thing? Unlike most whites and red wines, trying to make sparkling wine last even one day in the fridge is almost always unsuccessful which invariably means you just wasted a bunch of bubbly — not to mention a bunch of money. Well, it appears that the good folks over at CapaBunga have changed that with their CapaBubbles sparkling wine re-sealer. Make your sparkling wine last longer. 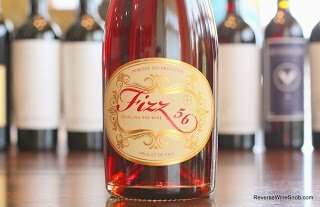 The Fizz 56 Brachetto Spumante Sparkling Red begins with a fresh, enticing aroma full of strawberry, raspberry, a little blackberry and some nice floral notes. Tasting reveals a sweet and fizzy berry bomb! 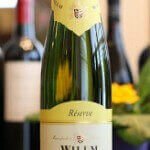 Despite the 80 grams/liter of residual sugar, the wine is not cloying but rather refreshing and fun to drink thanks to the good acidity and the “56 million bubbles in every bottle”. It ends clean, fresh and tasty. This is definitely a different side of Piedmont and perhaps even evidence that Barolo aficionados and sweet wine lovers can coexist happily together. This wine is also a great choice for fans of another Italian red sparkling wine we reviewed last year, the Roscato Rosso Dolce.